We tried anti-aging eye creams, but our research took us to our improved Gel instead! 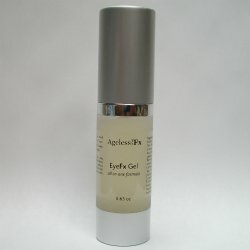 We tried anti-aging eye cream, but our research took us to our improved Gel instead! Peptides enhance elasticity and smoothness, while Eugprasia Officinalis Extract (Eyebright) acts as a skin toner and keeps the skin soft. No more stubborn dark circles, sagging skin, puffiness, wrinkles and crow's feet.